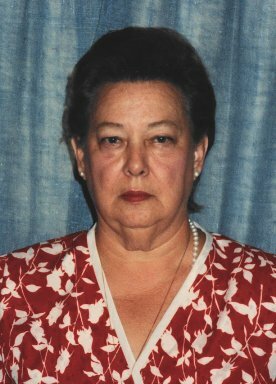 Frances M. Dickey, 86, of Tiffin, OH passed away on Thursday, July 26, 2018 at Heartland of Waterville in Waterville, OH. She was born September 13, 1931 in Fremont, the daughter of Frank Brown and Ruth (Lowe) Harr. Frances married John L. Dickey on June 25, 1949 at St. John’s Lutheran Church in Fremont and he preceded her in death on April 1, 2009. She and John owned and operated Fremont Telephone Answering Service for thirty years. Frances was a member of New Apostolic Church and volunteered at Fremont Memorial Hospital. She was a former member of the Fremont Eagles and Women of the Moose. Frances was also a member of a ham radio club. She enjoyed crafts, drawing and traveling. Frances is survived by her children, Gloria (Timothy) Jones, Tiffin, OH, Larry (Marlene) Dickey, Hessville, OH, Dennis (Deborah) Dickey, Rawson, OH, Bruce (Connie) Dickey, Gahanna, OH; brother Tom Brown, Fremont, OH; six grandchildren and six great grandchildren. She was preceded in death by her parents; husband, John L. Dickey; granddaughter, Anita Brucker; siblings, Carol Buyers and Betty McCall. Visitation: Monday, July 30, 2018, from 10:00 am until Noon at Wonderly Horvath Hanes Funeral Home and Crematory, 425 E. State St, Fremont, OH. Services will begin at Noon at the funeral home with Priest Ray Cline officiating. Memorials can be made to the American Diabetes Association or the American Cancer Society. I am so sorry to hear of the passing of Aunt Frances. It is at this time that you will see only one set of footprints in the sand and that the Lord will carry you through your grief. Praying for your family. Your family is in my prayers. My deepest Sympathy to the famuly. Larry/Marlene: We are so sorry for your loss. It was such a pleasure to know Fran. We appreciate her kindness, thoughtfulness and caring nature. Even with many miles between us our hearts. thoughts and prayers are with you always.